I am usually pretty good at buckling down around over the Halloween season. Unfortunately, this year I have been caught up with some of the stupidity that has made this one of the least fun seasons on record. When towns and stores are infringing on our rights as citizens to dress-up as common characters, there is a giant problem. Honestly, the amount of political correctness and attempts to sissify society is unbelievable. Next up for review is the 2016 ghost story, Lights Out! Plot/ When her little brother, Martin, experiences the same events that once tested her sanity, Rebecca works to unlock the truth behind the terror, which brings her face to face with an entity that has an attachment to their mother, Sophie. After taking a few days off from the blog, I decided that I needed to spend some time catching up with some different movies. With that, I went on a retro type binge and watched a few movies that I had not seen in some time. 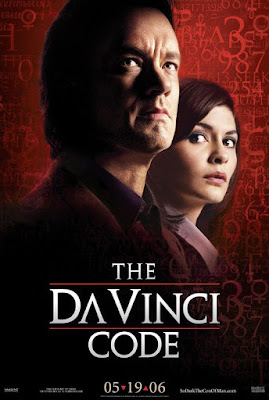 The first of those is the controversial 2006 thriller The Da Vinci Code. Plot/ Professor Robert Langdon is in Paris on business when he's summoned to The Louvre. A dead body has been found, setting Langdon off on an adventure as he attempts to unravel an ancient code and uncover the greatest mystery of all time. Last’s night’s debate was a strange, almost surreal watch. I honestly thought about entering it into the blog here at the Ringmaster’s Realm. Instead, I waited until tonight to both watch something new and make a new entry. What was my selection for the evening? 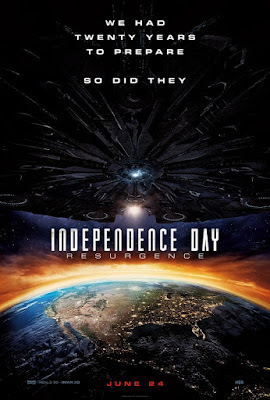 I decided on the 2016 sequel, Independence Day: Resurgence. Plot/ Two decades after the first Independence Day invasion, Earth is faced with a new extra-Solar threat. But will humanity’s new space defenses be enough? After last night’s debacle with Sharkenstein, I had hoped that maybe my next selection would be better. 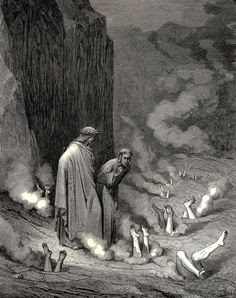 Unfortunately, in some ways it may have been worse. What was that movie? 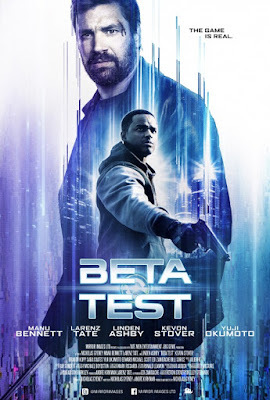 It was the 2016 Sci-Fi/action flick Beta Test. Plot/ Champion gamer Max Troy discovers events in a new video game are being mirrored in the real world, and must join forces with the game's protagonist, Orson Creed, to unravel the conspiracy before the game's sinister plot overwhelms the city. After finishing American Crime Story: The People Vs. OJ Simpson, I decided to jump back into some low budget horror tonight before diving back into AHS: Hotel. After doing that though, I quickly realized I made a mistake with my selection: 2016s Sharkenstein. Plot/ In the final days of World War II, a secret experiment to weaponize sharks is shut down and destroyed by the Third Reich. 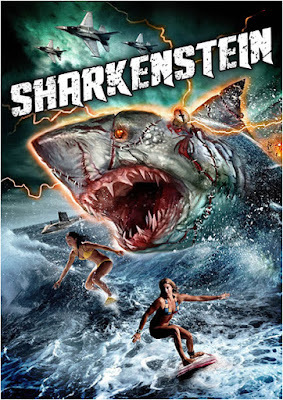 But now 60 years later, a bloodthirsty, mysterious creature plagues a small ocean town, one built and reanimated using parts of the greatest killers to ever inhabit in the sea - the Sharkenstein monster! I had to take a couple days away from movies after suffering through Ghostbusters. Even my wife apologized at the end for picking it up, yes, it was that bad. Over this time, I decided to watch People vs. OJ Simpson (which is tremendous). 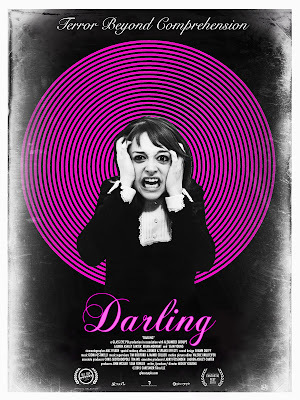 For my next review though, I decided to watch something a little different, the 2015 horror/psychological thriller Darling. Plot/ A lonely young woman descends into madness when she becomes the caretaker of a mysterious New York mansion that has a troubled past. Sometimes movies do live up to their reputations (and not for the better). Of course, that is definitely something that movie watchers should determine on their own, and not always follow what different reviews say. That is what I tried to do with tonight’s entry: 2016s Ghostbusters. 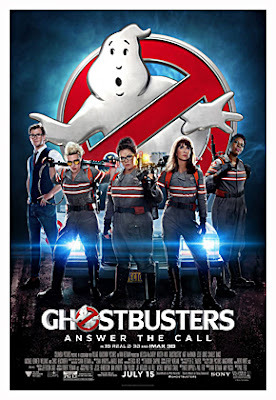 Plot/ Following a ghost invasion of Manhattan, paranormal enthusiasts Erin Gilbert and Abby Yates, nuclear engineer Jillian Holtzmann, and subway worker Patty Tolan band together to stop the otherworldly threat. Now that I am finally trying to immerse myself in American Horror Story: Hotel, I figured it was time to catch up on some of the movies that I have skipped reviewing over the past few weeks. First up on that list is the 2014 no-budget horror flick, Australiens. 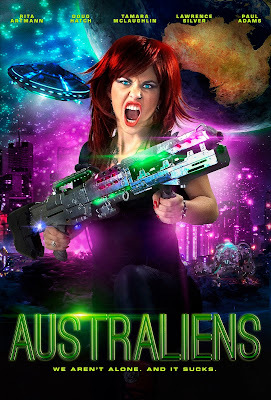 Plot/ Extra-terrestrials launch a nation-wide assault on Australia, much to the bafflement of the rest of the world. I was so turned off by The Levenger Tapes that forced myself to sit through the greatest reality train wreck ever: the second debate. What can I say; a debate between a psychopath and a sociopath (take your pick either candidate fits my diagnosis) gives more credence to the fact I think someone has created a butterfly effect. 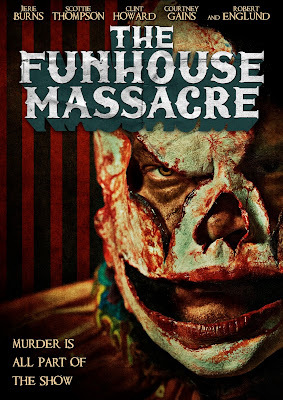 To help me recover from that, I decided to kick back and watch something mindless; just like the 2015 horror/comedy/slasher The Funhouse Massacre. Plot/ Six of the world's scariest psychopaths escape from a local Asylum and proceed to unleash terror on the unsuspecting crowd of a Halloween Funhouse whose themed mazes are inspired by their various reigns of terror. After watching House of Manson, I decided that I wanted to go in a different direction with my selection for the evening. 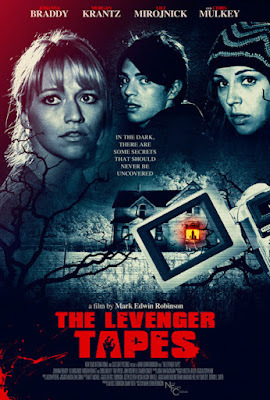 After some thought, I settled on the 2013 found footage entry The Levenger Tapes that I found at Family Video. Plot/ Detectives in a remote town pore through every frame of a troubling tape to find the whereabouts of three missing college students. The chilling footage becomes more and more disturbing when the students come upon the bloody dress of an 8-year-old girl in the secluded wilderness and take it upon themselves to find her. As a huge history buff and a person that enjoys breaking down true crime documentaries, novels, and shows, there are two stories that truly captivate my mind and make me consume everything I can find. Those two subjects are Jack the Ripper and Charles Manson. Whenever I find something new, I have to watch it. 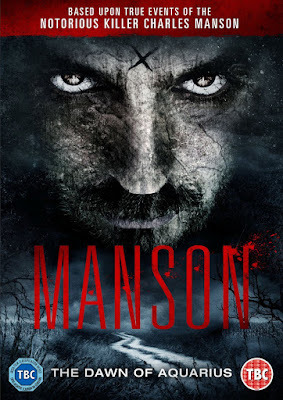 That was again the case this weekend after I found the 2014 entry House of Manson (AKA Manson) at Family Video. Plot/ An unflinching chronicle of Charles Manson, the ex-con who was able to amass a dedicated following of young people in the late 1960s. The era of peace and love was ultimately brought to its knees following his orchestration of the notorious Tate and LaBianca murders, which sent a shockwave throughout the USA and the world. While I usually stick to horror movies in October, I decided to review something different last night. 2016 has been strange, and I expect that things will get weirder before the return back to normal. It makes me wonder if CERN has something to do with it. 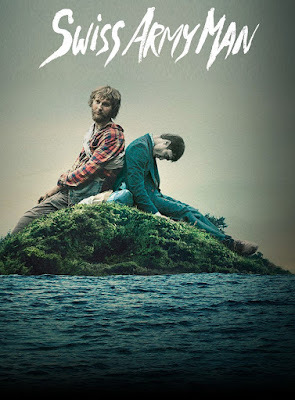 Talk about strange, that is my next review, 2016s Swiss Army Man. Plot/ A hopeless man stranded on a deserted island befriends a dead body and together they go on a surreal journey to get home.